Over 18's Only / Photo ID required for alcohol Consumption. 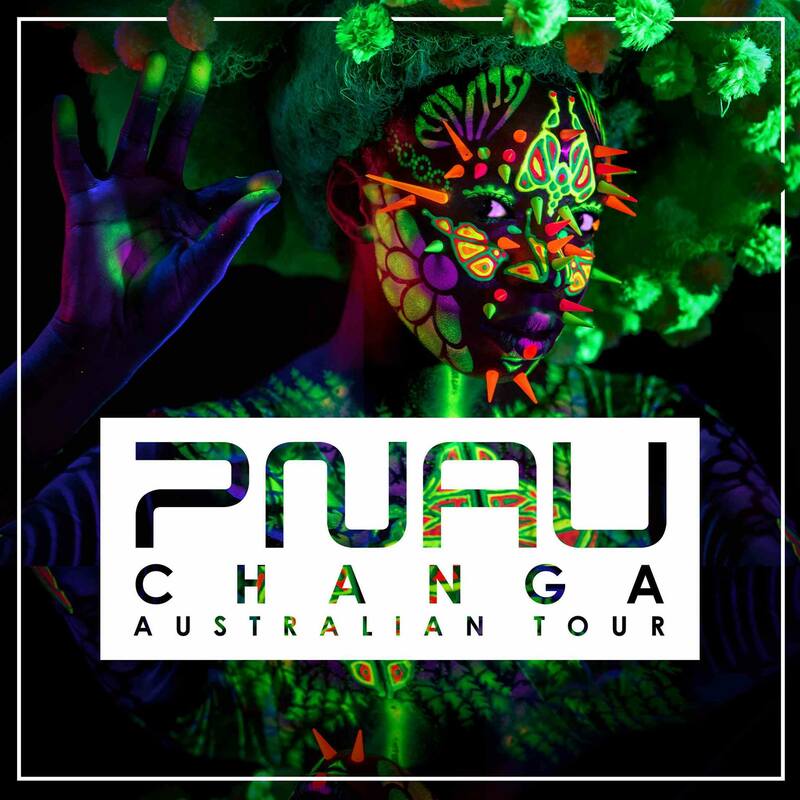 Multi-platinum selling LA based Australian electro pop pioneers,PNAU have just unveiled the amazing psychedelic video for their latest single ‘Changa’ accompanied by the release of five new remixes of the title track from their latest critically acclaimed album .. & they're coming back home to celebrate! Directed by Ben Kutsko from USA's Miniac Films, the ‘Changa’ video sees the creative direction of PNAU’s Nick Littlemore brought to life, once again starring vocalist and dancer Kira Divine. Heightening the aesthetic from previous releases ‘Chameleon’ and ‘Go Bang’, the creative direction for ‘Changa’ was to explore the conscious and unconscious world of DMT - a journey back and forth through slowed reality to hazy deep dream state, through to a full blown visual collision of mind and body.